Transportation in Bangladesh Archives - Khaled Rent A Car in Dhaka, Bangladesh. Your Secured and Trusted car rental partner. million and Tk. 113.1 million has been sanctioned for another five projects. 13 projects for development of airports have also been undertaken. Chittagong and Chalna are Bangladesh’s two sea-ports. 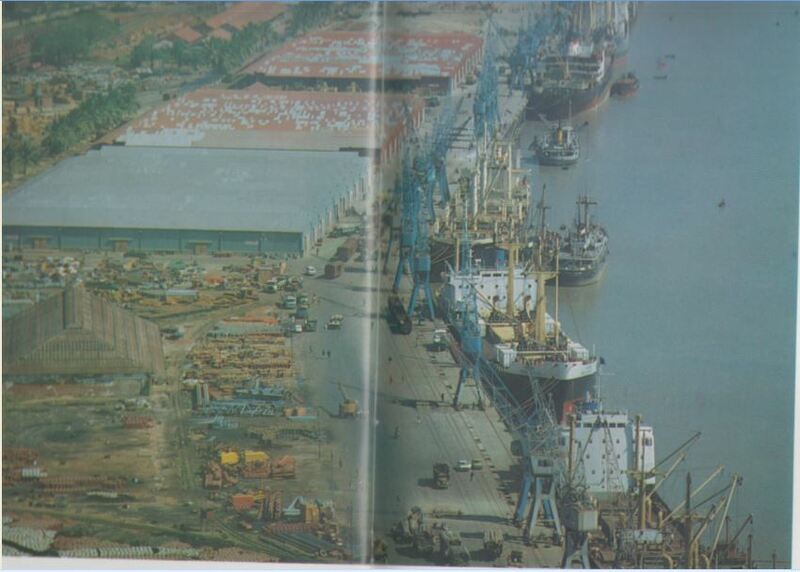 With 17 jetties and a number of other facilities, Chittagong port represents the Life line of the country’s economy. It received 172 ships and handled 5.56 million tons of cargo in 198 1—82. Chalna port received 170 ships and handled 1.63m tons of cargo during the same time. The facilities in these ports are being developed. 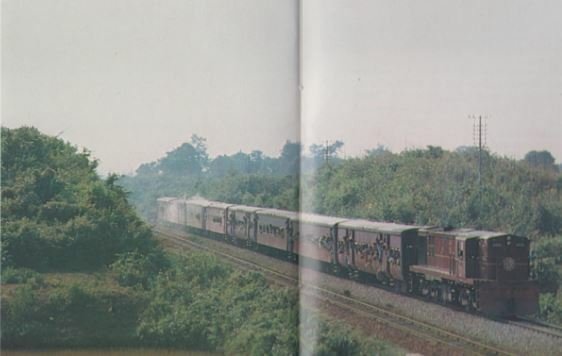 With 356 passenger trains and 62 goods trains operating every day, Bangladesh Railway carries about 100m passengers and 3.6m tons of cargo annually. With a network of 1792 miles of meter and broad-gauge track and 502 stations, it employs over 60,000 people. Development projects under Implementation include complete declaration of the railway, establishment of a central workshop for repairs of locomotives and workshop for assembly and progressive manufacture of carriages and wagons. Due to reform in Railway administration revenue earning has recorded substantial increase. Metallic all-weather roads total 2866 miles. About 206 miles of roads was metallic during 1980-81. Taka 1650m has been allocated in 1982—83 for development and maintenance of roads. Out of this Tk 400 m will be spent in phases in the newly upgraded thanas for the construction of roads. Road transport is predominantly a Private sector affair. But the largest road transport organization is in the public sector with a fleet of more than 347 roadworthy buses and 184 trucks. Its network covers almost the entire country. It carries more than 100,000 passengers a day and several thousand tons of goods per month. The country’s road transport is steadily improving. Bangladesh Shipping corporation has 25 ocean going vessels having a total tonnage of 37 1,593 DVT. The Corporation’s ships carried over 1.7 million tons of Cargo/crude oil in 1979 —80 and the total revenue earnings was Tk 1096 million. 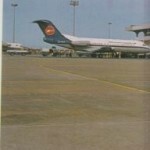 It handled 17.75 of the total export-t and import trade of the Country during the same period. Telecommunication plays an important role in the overall development of the country. For long distance domestic connections and beaming of television programmes, high capacity microwave links have been set up with almost all district headquarters. The Satellite Ground Station at Betbunia near Chittagong is used for all kinds of tele-link with the outside world including exchange of television programmes. The Standard ‘B’ Satellite Earth Station at Talibabad (Dhaka) has also been completed and put into operation. Telex facilities, both domestic and international are available at all major towns. Further, old outdated Teleprinter Machines have been replaced by Electronic Teleprinter Machines for the improve merit of Telegraph and Telex communication in the country. An electronic Telex Exchange has been installed in Dhaka by which any telex subscriber of the country can flow dial automatically all over the world. Programme has been drawn up to introduce Nation Wide Dialing through Digital System in the country. Equipment for Nation Wide Dialing has already been received and the installation work is now on progress. For the improvement of rural telecommunication particularly in the upgrade thanas steps have been taken to install small capacity Rural Automatic Exchanges. 23 thanas have been equipped with telecommunication facilities and work on another 39 thanas has been taken up. Manually operated exchanges have been setup in 7 thanas.